As anyone who has visited the Algarve knows it has plenty to offer everybody. There are the Beaches ( of course ), Moorish castles, Roman ruins, Gothic cathedrals, dramatic cliff top views, mountain treks, museums, monasteries and certainly great places to eat, drink and shop. Car hire is the obvious form of transport when getting out and about, but there are alternatives. A boat trip, or even a fishing trip, a jeep safari for places off the beaten track. Coach trips are available for day and evening tours. Trains and Local Buses are also a great way to explore. Listed below are just a few of the towns and villages of the Algarve in summarised form. Where possible I have added a sub-section listing any restaurants, bars and maybe shops and useful telephone telephone numbers in the various neighbourhoods. Those I have visited are more detailed where possible. Also the larger towns will have more details as will towns or villages with notable features. ● Click here for map for quick reference or use the map below. Remember to 'expand all' sub-sections before searching so their contents are included. Click on the index letter ( e.g. A: ) to display photograph. Click on the index name ( e.g. Management ) to show location and details on the map. The serra de Monchique is an impressive mountain range, home to two of the region's highest peaks – Picota and Fóia. It is normally green and wooded with cork, chestnut and eucalyptus trees (except when fires break out which seems to be a regular summer occurrence). The area is a natural northern boundary for the Algarve. It is ideal hiking country. 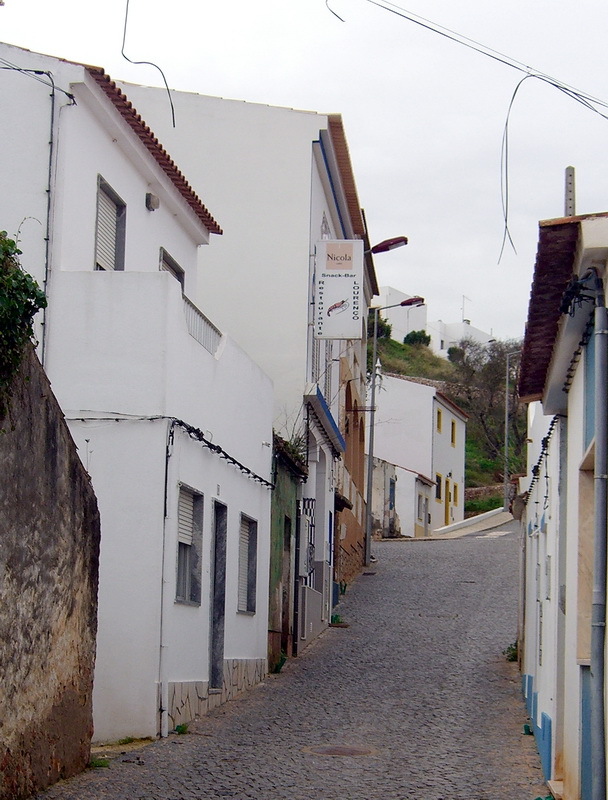 Monchique, a small village full of character, is located 24km north of Portimao. Quite a bit of the route has been developed to a high standard so it is not such a chore to reach these days. It is a good center for handicrafts, locally made nougat, the local 'fire water' made from the fruit of the arbutus tree 'medronho', hand carved wooden utensils and large straw bags. Great views of the Algarve can be enjoyed from the nearby ruins of a Franciscan convent. Don't miss the sausage festival if you are in the neighbourhood during March! Its history is first recorded with the arrival, at Caldas de Monchique, of Roman settles drawn by the curative powers of the local waters. The local population grew slowly over the years and by the 16th century Monchique was big enough to justify a visit from King Sebastian (1554-1578) whose intention was to grant it the status of a town. Monchique's prosperity was founded on weaving wool and linen to make the sturdy fabrics worn in times gone by and on other activities that included felling and working the wood of the local chestnut trees. It earned its civic charter in 1773. The economic changes wrought by industrialisation signalled the end of local textile production and other manufactures. Today Monchique is a pretty town with a diversified economy based on tourism and crafts. The small village 'Caldas de Monchique' nearby has the only spa in the Algarve. A pleasant, peaceful health resort to restore. The thermal spa sits on the edge of a ravine, with gardens, sauna, pool, Jacuzzi and Turkish bath facilities. Visitors can sample the waters direct from the spring that emerges at a constant temperature of 32ºC. It is said to prolong your life by ten years provided you can put up with the strong smell of sulphur. Close by is the superb Morgado Golf course and its new (April 2006) sister course the Alamos (which, I'm sure, is why they improved the road!). A charming village is made up of houses built in the style typical of the Algarvian countryside. The medieval origins of the village church are evident in its porch. Its triumphal arch and the ribbed vault in its main chapel. Nearby on Cerro do Castelo, stand the ruins of a fortification with concentric walls that was probably built by the Romans. The low white houses on the Algarvian hills stand out from a palette of warm browns and ochres. The country chapel of Santo António (St. Anthony) stands on a small mound and affords great views of the surrounding countryside. An enchanting oasis in the Monchique hills, inviting you to walk, rest and relax. 4 traditionally decorated rooms, regional and vegetarian cuisine. Reki center: bring your body back to balance and feel more healthy. Where: Estrada de Lisboa, 266. 8550 Monchique. Tel: (+351) 282 912 271. Fax: (+351) 282 912 360. O Rouxinol Swedish owned restaurant in an old hunting lodge. Traditional Portuguese and International cuisine. Open from Tuesday to Saturday from 12:00-22:00. Where: Caldas de Monchique, Monichique. Tel: (+351) 282 913 975. Restaurante 1692 A Traditional restaurant first opened in 1692. Where: Located in the main square at Caldas de Monchique, Monchique. Tel: (+351) 282 910 910. Restaurante a Charrette Local mountain food a speciality. Traditional Algarve dishes. Where: Rua dr Samora Gil 30, Monchique. Tel: (+351) 282 912 142. Restaurante Central Portuguese restaurant. Limited menu of traditional regional dishes. Where: Rua da Igreja, Monchique. A small village on the N125. Nothing much to look at, but worth a brief stop. Regular markets. The turn off to the Palmares golf course is here otherwise you would be inclined to drive straight through. There is quite a bit of development going on here as it is currently a pretty empty area. Do not confuse with Odeceixe which is another town near Aljiezur. A short drive East of Faro. This fishing towns most obvious feature is the square-shaped flat-roofed houses, with their Moorish-style terraces. Behind the 17th century church there is the Nossa Senhora dos Aflitos Chapel. The fish market, a long unattractive building on the waterfront, offers a large variety of locally caught fish every morning. Approximately 37 miles from Faro is Portimao, the Algarve's newest city, of great importance as a fishing port. Carthaginians founded Portus Hanibalis, modern Portimão, in the sixth century BC. An earthquake in 1755 destroyed a large part of the city and much of its past. Probably the greatest attraction of Portimao is the shopping and the fresh sardines sold by the quayside. There's also a pretty impressive new'ish marina. 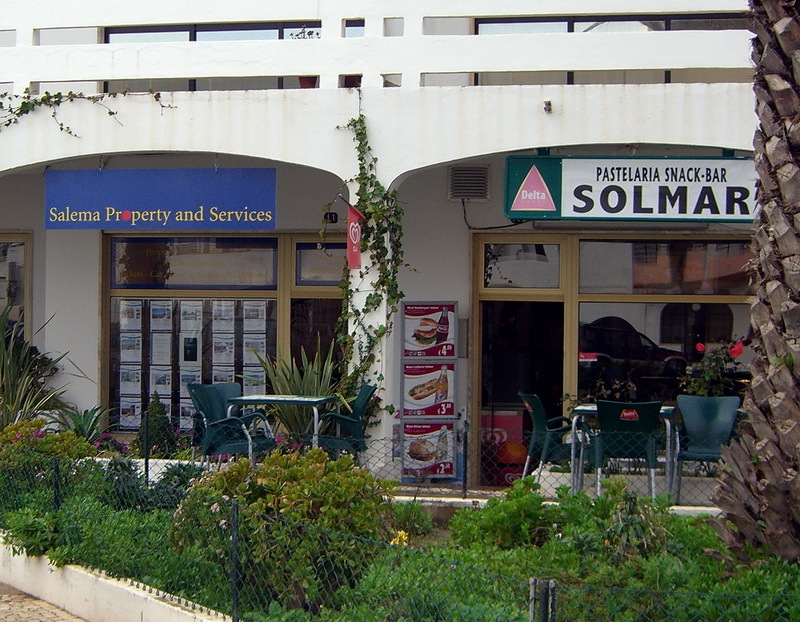 The lively tourist / beach area of Praia da Rocha is walkable. Ervanária Flor do Campo Vegetarian. Retiro do Peixe Assado Seafood. Just five minutes from Portimao. This was the first tourist resort to be developed in the Algarve (back in the 1930s). La Dolce Vita Italian Pizzeria. Homemade pasta. Another small fishing village that has grown in the last 30 years into a thriving tourist resort. Almost a continuation of Villamoura these days complete with high rise tourist accommodation. Quarteira has a beautiful, long stretch of golden sand and a long tree lined promenade with lots of shops, restaurants and cafés along its length. Places to see: Church of Our Lady of Conception, the Church of São Pedro do Mar. The Forte Novo (New Fort). Sagres is located on the westerly tip of the Algarve. Home to Henry the Navigator for 40 years the fortress in which he lived still stands.. From the battlements there is a superb view of Cape St. Vincent ( see below ) across a blue crescent bay. Some nice beach restaurants. Compare the bays either side of the fort, its pretty obvious which one faces the Atlantic! Prince Henry the Navigator built a fortress and a shipyard here, much of it destroyed (along with his precious library) first in an English attack in 1587 and later in the 1755 earthquake. It is believed that it was on this site that Prince Henry gathered the most renowned astronomers, geographers, cartographers, and shipbuilders of the time to study the sea and the sky to launch his expeditions. Among the explorers who studied at Sagres were Vasco da Gama and Ferdinand Magellan and apparently Christopher Columbus. An enormous pebble wind compass 43m (141 ft) in diameter still clearly visible on the ground, and a simple but captivating 15th century chapel on the site are both believed to have been built by the Prince. Overlooking the site is a modern bar / inn ( pousada ), where you can end the day with a great view of the sunset. Nearby is Cape São Vicente, Europe’s most south westerly point, known to ancient mariners as the "End of the World," where it was believed the sun sank into the ocean every night. The awe-inspiring sight, standing on the 60m-high (200ft) cliffs fronting the immense Atlantic, can still make it feel that way today. The lighthouse has a 95-km (60 mile) range, the most powerful in Europe. Nearby are also a few good beaches such as Praia da Mareta, Praia do Martinhal, Praia do Tonel, and the isolated Praia de Beliche. Batedor Portuguese Restaurant and bar with sea views. Closed: Mondays out of season. Where: Above the harbour. Baleeira, Sagres. Homemade pizzas and pasta with vegetarian options available. Takeaway service. Where: Av. Comandante 2 Matoso, Sagres. Nortada Portuguese Restaurant and beach bar. Open: Winter - Lunch only. High season - Everyday 10:00 to 00.00. A large terrace and sea views. Fish and shellfish specialities including local oysters. Open: Open for lunch and dinner. Approximately 19km west on the main road (N125) from Lagos towards Sagres. This fishing village situated in a narrow valley leading on to a broad cove / beach, which has managed to retain it's character despite extensive building at the back of the village and on the cliffs. An active fishing fleet works out of here and a lot of the fish is used by the handful of restaurants in the village. A regular weekly market sells handicrafts and local produce. A sandy beach on the western side of the village is protected by cliffs. Look out for Dinosaur footprints when the tide is out. Boca do Rio (accessible by dirt road from Salema) and Ponta de Almadena beaches nearby. Restaurant, Cafe and Bar. Beach View Webcam. Recently rebuilt. Cash Point (ATM) on the outside wall. Tel: (+351) 282 695 142. Gaby's Take Away International cuisine. Curry, Lamb kebabs, Tapas. Where: Beach Vila Club, Praia da Salema, 8650 Budens. Boia Bar Beach front location. Specialises in fish with the caldeirada, the local fish stew. Locally caught fish, pasta and chicken dishes. Where: Rue des Pescadores 101, Salema. O Barco Steak House. Outside BBQ. Live music Saturday nights (booking recommended). Where: Located in the centre of the village. Tel: (+351) 282 695 149. Portuguese and Greek specialities. Pizzas and take away service. Where: Just at the start of the hill. Rua 28 de Janeiro. Mira Mar Rabbit casserole a speciality. Where: Located next to the beach. Where: At the end of the terrace of shops. A.T.M. ( Cash Point ) Where: Located in the wall of the Atlantico Restaurante on the beach front. Where: On the beach front. Part of the terrace of shops. Where: Up the hill toward the N125, signed. Where: Where: Part of the terrace of shops. Where: Part of the terrace of shops. Once the capital of the Arab kingdom, Silves lies 17km north-east of Portimao. A once flourishing city of palaces, gardens and bazaars, Silves may have lost its influence but not its interest. The surrounding area is comprised of mile after mile of orchards - peach, almond and orange trees. The redsand stone fortress is open daily (09:00-19:00). A 13th century cathedral built of red and white sandstone has fine emblazoned tombs and should not be missed. A Grelha 2 Alentejo-Armação Pêra. A Mesquita 2 18 Policarpo Dias. A Moagem Estr Nac 125-Alcantarilha. A Santola Lg Fortaleza-Armação Pêra. Almadrava Lda Marisqueira Eat where the Portuguese eat. Well known for fresh fish, regional cuisine & cataplana. Live seafood from aquarium. Snacks all day. Kids menu. Ask waiter about daily dishes: roast pork / lamb, cod & cream, grilled fish etc. from €5.50. Very popular. Go early to get a table. Ay-We Pr Vale Olival-Armação Pêra. Balbino Where: Lt1-lj D Av Gom-Armação Pêra. Barbinha Where: 13 Elias Garcia. Bistro O Cais Rua José Estevão. Cantinho Dos Amigos Where: Lt29-lj-r/c S. Seb-Alcantarilha. Cantinho Dos Caçadores Where: Mte Costa-S. Marc Serra. Clipper Where: Bl A-r/c Av Marginal-Armação Pêra. Colina Verde Where: Adro Igrª-Algoz. Económico Restaurante Where: Herois Mucaba-S Bart Messines. El Gomes Where: St Rocha-Armação Pêra. Estrela do Mar Where: Lg Inf D. Henr-Armação Pêra. Fernando dos Leitões Where: 21 Comend Vilarinho. Joaquim Da Praça Where: Aldeia Ruiva-S. Bart messines. Kam Kong Chinês e Taillandês Where: 26-A-r/c-E Lg 25 Abril-Armação Pêra. Kazy Restaurante Where: 2-r/c Mouz Albuq. Ladeira Residencial Where: 1 Ladeira S. Pedro. Lota Bar Where: Ed Vista-Mar-1 Rua Praia-Armação Pêra. Mar e Picos Where: 1-r/c Rua Praia-Armação Pêra. Marisqueira Casa Velha Located near the famous castle, this restaurant is well known for its fresh fish & seafood, regional cuisine and cataplana. Childrens menus available. Daily dishes. Traditional atmosphere and friendly service. Air conditioning. Group reservations. 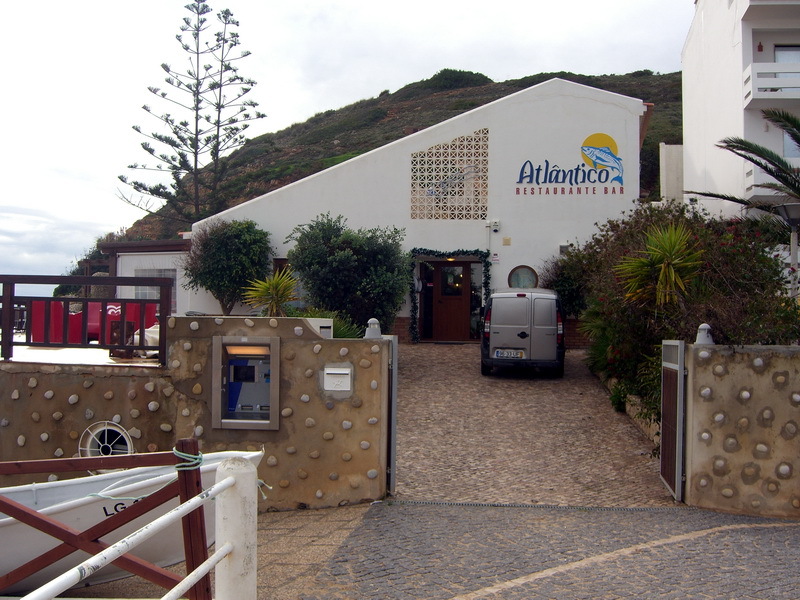 Marisqueira Rui Allegedly the Algarve's most famous seafood restaurant. Rui’s has a long-standing reputation as a favourite seafood restaurant. A large choice of excellent seafood & fish in aquarium & vitrine at the entrance. Full menu includes RUI’s special steak, grilled pork, daily specials & much more. Often packed, so get there early. Very reasonable prices. Where: A bit hard to find but worth it, go down steps opposite the Tourist Office, keep on road to the left for 100 metres. Messinense Where: 24-B.D. Mª E N D Ferrª-S. Bart Messines. Miracampo Where: Aldeia Ruiva-S. Bart Messines. Miramar Where: Lg Inf D. Henr-Armação Pêra. Navarro Where: Ed torre Sol-lj 2-r/c Av Beira Mar-Armação Pêra. O Alambique Restaurante Where: Poço Barreto. O Cais Bistro. Located in a tastefully renovated old town house on waterfront with a terrace facing the river. Fish & meat dishes with vegetables & choice of potatoes. Accompanying sauces a speciality. Daily specials such as onion soup au gratin, lamb shanks & marinated ribs from €7. Open: Evenings from 5pm, also Sat. lunch. Where: 2 José Estêv. Silves. O Caixeiro Where: Fte J Luis-S. Bart Messines. O Catarino Where: Lt 4-r/c-Alentejo-Armação Pêra. O Charuto Do Algoz Where: 45 Rua Praça-Algoz. O Cruzamento Where: Mte Costa-S. Marc Serra. O Cruzeiro Where: Tv Joao M Leite-Algoz. O Fernando Where: 10 Rosa Ventos-Armação Pêra. O Foral Where: Larga V Foral-Algoz. O Grego Where: Alcantarilha Gare-Alcantarilha. O Novo Amigo Where: Lt1-r/c Urbaniz Silgamar-Silves Gare. O Pão Quente Where: Qt Valim-Alcantarilha. O Pelintra Where: Lt 10/1 Av Gen Humberto Delgado-Armação Pêra. O Serol Where: 2 Pt Mar-Armação Pêra. Os Torreenses Where: Bl5-A-lj 1/2 Urbaniz Torre-Alto Torre. Papo Cheio Where: Lt20-r/c José P Vieira-Armação Pêra. Penedo Grande Where: Campilhos-S. Bart Messines. Pequenico restaurante Where: Dr Franc° G Pablos. O Charuto Do Algoz Pizzaria. Ponte Romana Where: Horta Cruz. Praia-Mar Where: Pr Nv-Armação Pêra. Where: 26-r/c-lj B Urbaniz Qt Torre-Armação Pêra. Recanto Dos Mouros Where: Mte Branco. Rocha Bar Calixtos Where: Pr Vale Olival-Armação Pêra. SUZIE'S BAR & BISTRO Café, snack bar, Suzie & Peter. Sunny terrace. Home-cooked snacks & meals. Peter's famous “real chips”, homemade burgers, grilled Camembert & salad, pasta dishes or an English Breakfast. Local & Imported beers. Sky Sports. Ti Raquel Where: Mte S. José-S. Bart Messines. Ti Teresa Where: Vale Lousas-Alcantarilha. Velha De Silves Marisqueira Where: 11-r/c 25 Abril. Viegas Where: Boião-S. Marc Serra. Zig Zag Where: 22 Teof C Sant-Tunes Gare. Opticians OPTICA ARADE. Sunglasses: RayBan, Arnette, Ungaro, Palmo Picasso, Marco Polo, Polaroid etc. Good prices. Also reading glasses, Free state of the art computerized eye testing. English spoken. Where: Rua Elias Garcia. Silves. Tel: (+351) 282 441 229. MUSEUM SILVES ARCHAEOLOGICAL MUSEUM. A museum with recently uncovered finds. An interesting ancient cisterna (hand dug well) is located inside the museum. A renovated typical Algarvian terraced house. International dishes with seafood and fish speciality dishes. 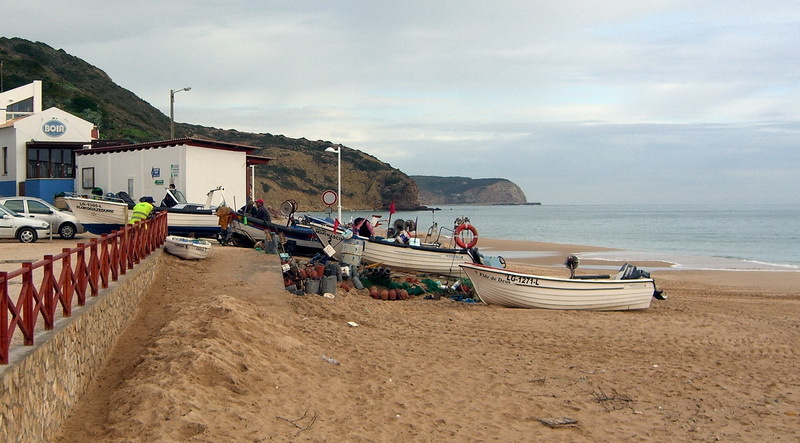 (Also see Sagres) - Used to be known as Aldeia do Bispo, or the Village of the Bishop. Home of the standing stones (Menhirs / Pedra Escorregadia) and the Bronze Age cyst burials (just to the south of the town). The menhirs are of Neolithic origin, and date to around 5000 B.C. Five centuries ago Prince Henry set up a school of navigation, which played a crucial role in the Portuguese discoveries. Apart from the Nossa Senhora da Graca Hermitage, you can visit the magnificent Fortress (originally built in the 14th century, and later altered) and the 15th century Rosados-Ventos (a 43 m diameter compass rose). Nearby, on the extreme south-western tip of the European continent is Cabo de Sao Vicente (Romans' Promontorium Sacrum). The village itself has been substantially 'smartened up' but plays second fiddle to the more trendy surfers village of Sagres, which is nearer the beaches/sea. Casa de Papo Cheio Seafood. Zavial Beach Bar and Restaurant. Lunches, dinners, sea food - Speciality cataplana. Vilamoura is the Algarve's most luxurious and ambitious holiday development. With excellent sporting facilities and the major attraction - its marina, Vilamoura is certainly worth a visit (rather than a stay, unless you are under 25?). A Casa do Lago International.